Your father’s snow shovel is not the snow shovel of today. Ergonomics have played an important role in making them more efficient and much safer. You’ll find that they even help you get the job done in a fraction of the time it used to take. 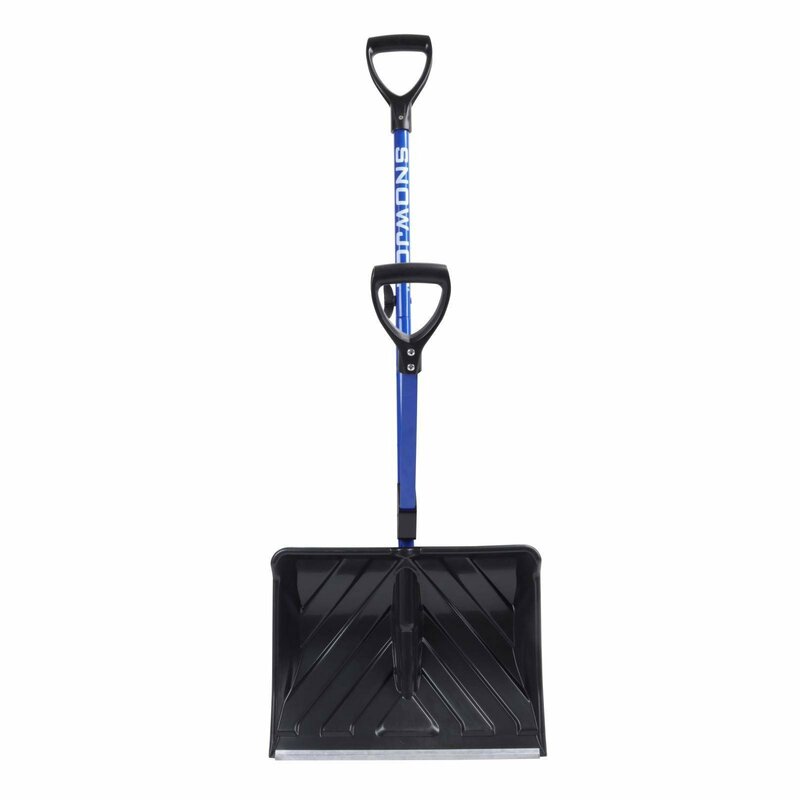 Here are two examples of new designs in snow shovels and how they’re used: Shovelution and Garant. While not generally considered a ‘hack’, having a warm place for those falling flakes to land is an intriguing, and let’s face it, happy, idea. And depending on your age and ability, heated mats could be a really great alternative to the manual labor of removing snow. Heated mats focus on specific areas allowing you to move them where you need them. One of the best things about heated mats is that you can buy different sizes to use to melt the snow from your walkways, porch and the ever-treacherous steps leading to your house. When heated mats are used on steps they are laid individually and then plugged together. And if you move you can take them with you! This is more of an ice-removal hack, but it goes hand in hand with snow removal. If possible, de-icers should be applied as soon as snow begins to fall. If there is already significant snow, shovel it first and then use the de-icer for the best results. You can readily pick up a commercial de-icer at your local hardware or retailer, but beware because they are generally toxic in varying degrees to the environment, pets, and wildlife and can damage concrete driveways and walkways. Some deicers that are considered safe may actually be “less-toxic” as opposed to “non-toxic”. If you belong to an HOA check with them first before using commercial products. Combine 3 parts vinegar with 1-part water. Combine 2 parts rubbing alcohol with 1-part water. Mix the ingredients together in a bucket and pour over sidewalks and pathways (avoid the runoff). Combine 2 lbs. of salt per gallon of water. For extra punch, add a glass of sugar beet juice to get the ultimate in de-icers. As a reminder, salt, while organic, is damaging to both concrete and landscape so use it cautiously. Alfalfa meal is typically used as a fertilizer but its hidden talent is as ‘green’ ice-melting hero. It’s also grainy making it a great de-icer while providing traction. It’s said to be very effective when used moderately. Lay plastic tarp over sidewalks, walkways and the driveway in anticipation of snow. You might not want to wait until the flurries cease to pull up the tarp. If you’ve experienced a heavy, wet snowfall then you might find your tarp trapped as the weight of the snow will make it too heavy to lift. In a pinch, you can get year-round use out of your leaf blower or shop vac by using them to remove that light overnight snow. If you have ever tossed a shovel-full of snow to find it still on the shovel, then coat your snow shovel with cooking spray to make shoveling much easier. Cover the front and back to keep snow from sticking. Before you shovel, put a pair of socks over your shoes for added traction. Shovel often. It’s far easier to shovel in spurts than it is to wait until it stops snowing and trying to man-handle those mountainous snowdrifts. Hire someone. There are many reputable, able-bodied and well-equipped individuals or companies prepared and ready to clear your driveway and walkways this season. And last, but not least, there’s always Florida.